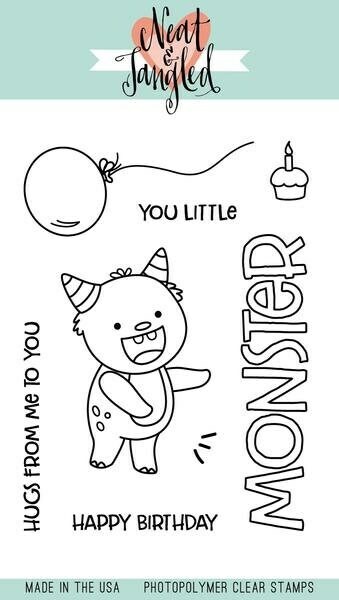 This 3x4 inch set has a little party monster! Use him and his accessories to send monster smiles! Has coordinating Little Monster dies. Sold separately.